Our Approach: IT Services Done Right! How do we that? By providing you right project managers and knowledgeable team members. Rapidsoft Systems is a leading IT Services company that focuses on the unique computing, networking, and application needs of all-sized businesses. We're friendly, knowledgeable people. You'll like our friendly style. But you'll love the way we understand your technology. We are not just an IT support company. We develop technologies. We create new technologies. When you choose Rapidsoft as your IT support partner, we will work with you to provide IT consulting solutions that fit your business model. 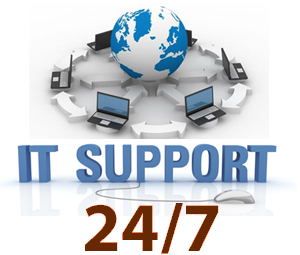 Rapidsoft’s IT support is geared around your business needs today and into the future. We ask questions to understand where you are now and where you want to be moving forward. We design your IT services around this information so that the solution is tailored to your business. There is no one size fits all in IT support. The IT company you choose should be someone who understands you. We work hard to do that; and that’s what makes us different. Use Rapidsoft Online to get instant information about anything we’ve done for you, including recent service, invoices and more. You can even schedule and approve IT Support work orders from your computer or mobile device. Rapidsoft Systems provides IT support and network management that smaller IT service providers can only dream about. Whether you have 10 employees or 1000 employees, if you have an emergency we will respond quickly to get your network back up and running. Our team of IT support professionals has the expertise and years of experience to provide this level of service to all of our clients, not just our largest clients. Once we understand the timeline and the scope of work for your project, Rapidsoft Systems will provide you with a solution that will meet your needs today and for years to come. 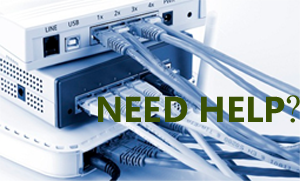 Our project managers are IT consulting experts who will deliver your network upgrade on time and on budget.